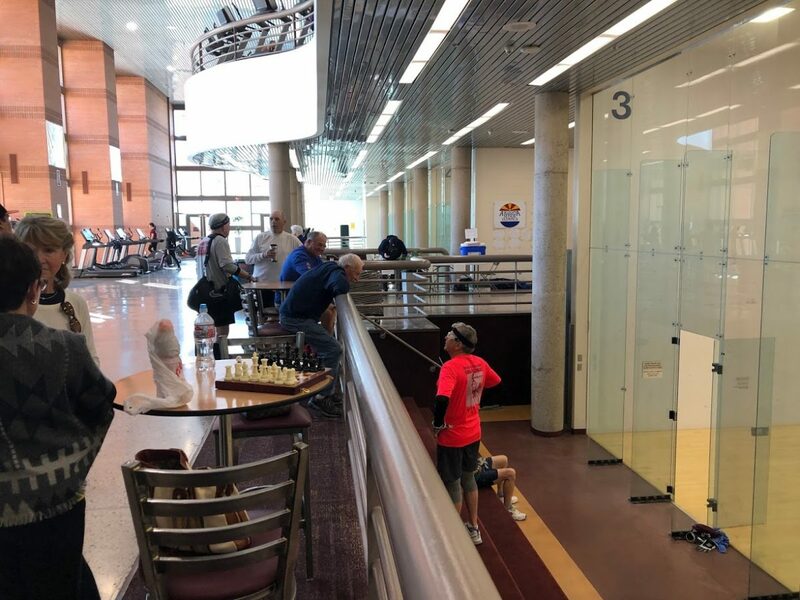 Phoenix, AZ, WPH Press, 2/21/19- The 8th annual 2019 Arizona Senior Olympics handball event was another major success at one of the best facilities in Arizona. 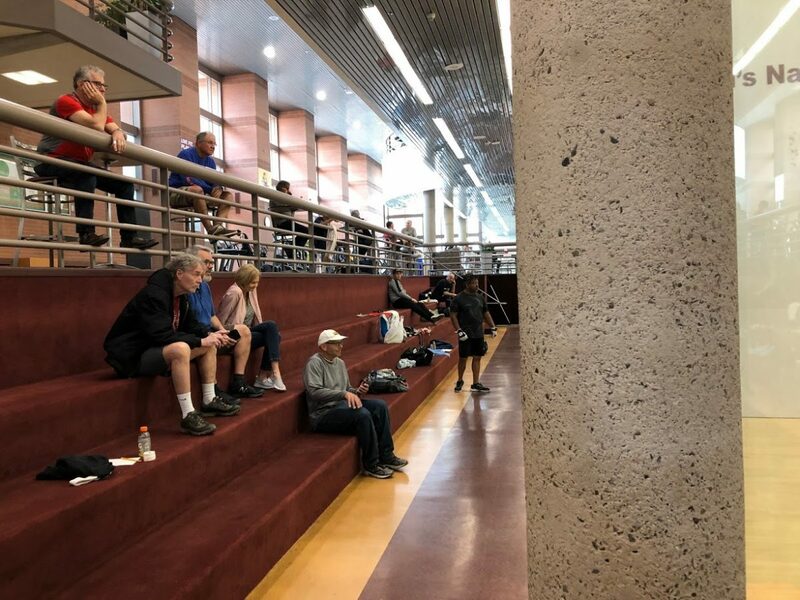 2019 featured the largest field in SR Handball Olympics history, with players from all around the Southwest coming together on Feb 16-17 to compete at the ASU Recreational Center in Tempe, Az. While most of the country was under severe cold critical weather conditions, Arizona’s temperatures stayed in the reasonable winter range. 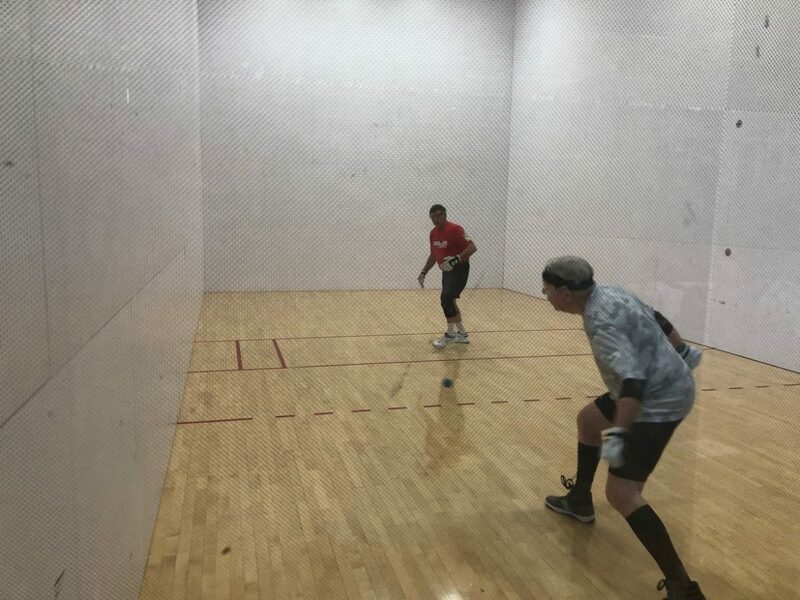 Newcomer, Sushil Wanigatunga dethroned last year’s singles champ Barry Rubin in a hard fought battle that was decided in a 11-7 tiebreaker to take the Gold in the 55/60 division. Dennis Haber took the Bronze. 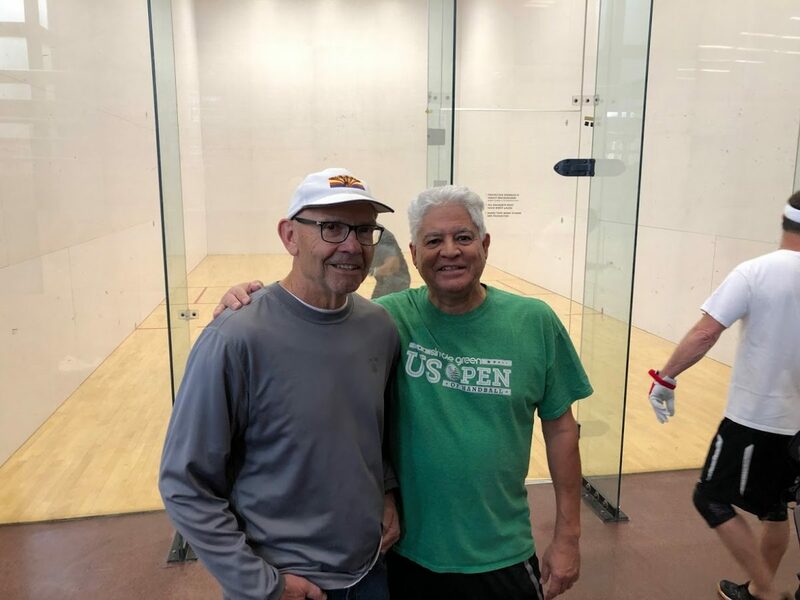 Gary Eisenbooth had another strong performance, taking down Sam Ortega in two games to take the 65 singles division and then slamming with partner Barry Rubin to take the Gold in the 55/60 doubles. Kenneth Ramsay took the Bronze in the 65 singles. 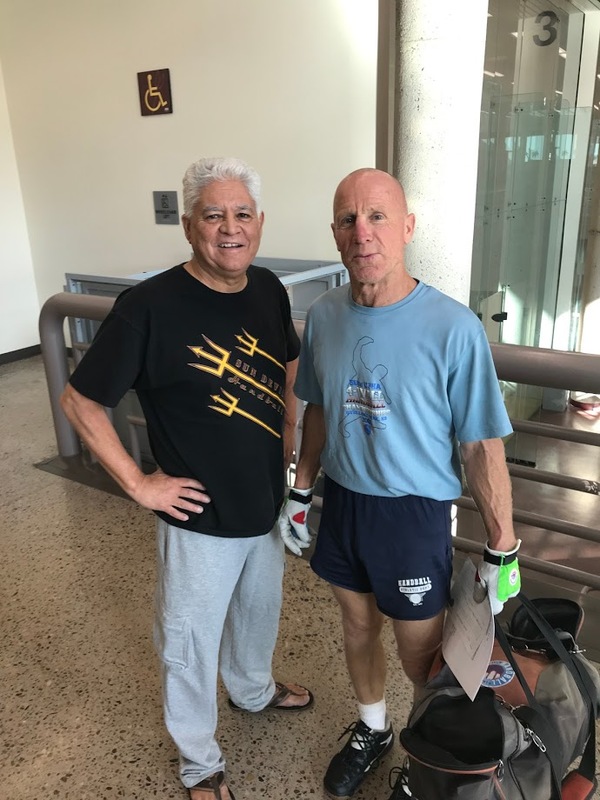 Wayne Baker, who seems to never tire, took on Art Brooks and John Wicklund in the 70s singles round robin and didn’t lose a game en route to the Gold. Vince San Angelo tackled fellow doubles partner Doug Clark in close games to take the 75 singles Gold. Charlie Doyle won the Bronze. Sushil also teamed up with Leo Torres to win the Bronze in the 55/60 doubles. 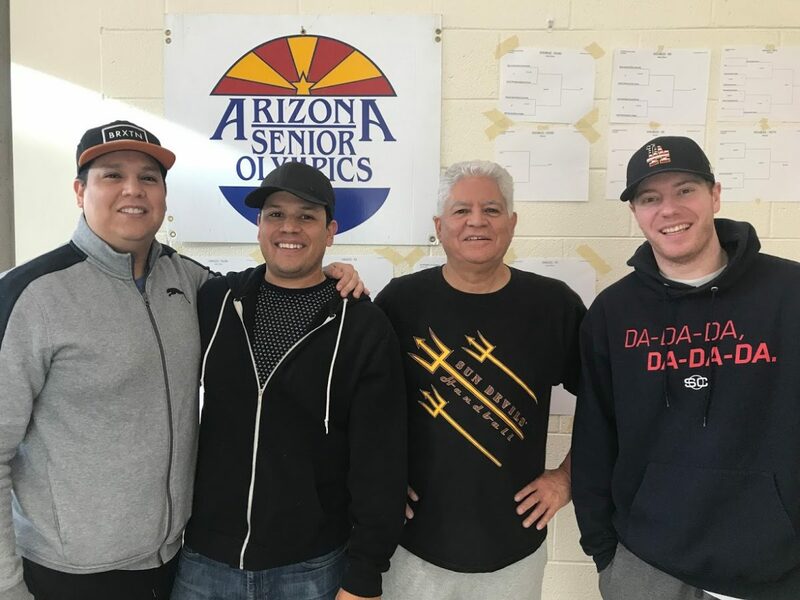 In the 65 doubles, Joe Neidlinger and Doug Woods made up a very competitive team, taking down Steve Hamrick and Ken Hartnett in the finals for the 65 doubles Gold. 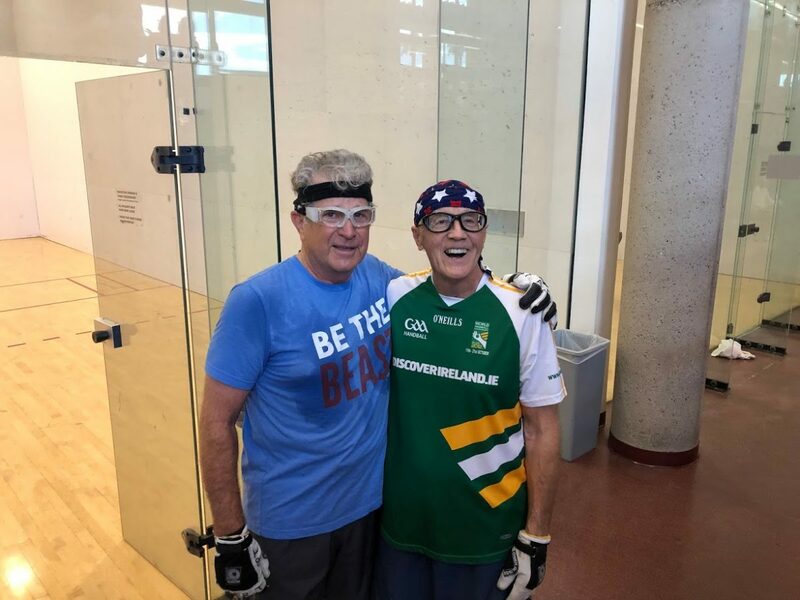 The very experienced team of Vince San Angelo and Doug Clark covered the court well enough to win two matches against younger opponents for the 70/75 doubles, while Art Books and John Murray took the Gold. 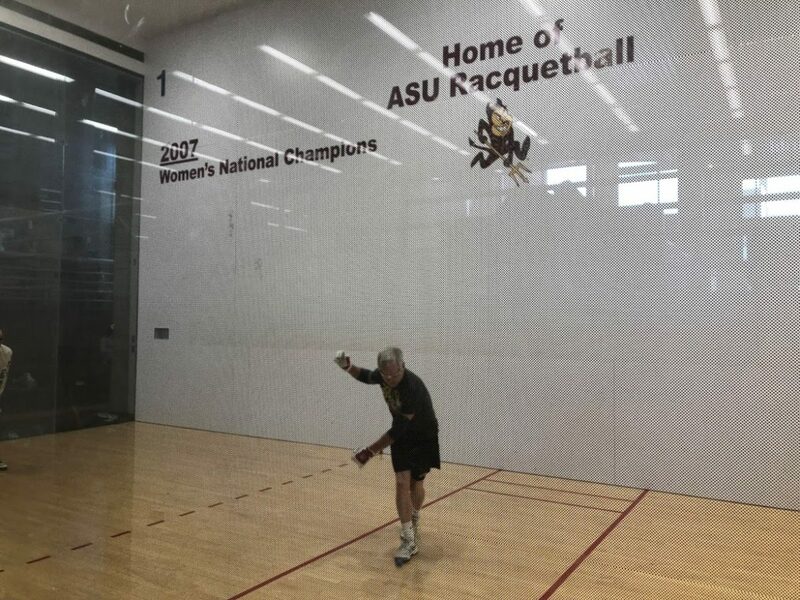 The 75-year-old players are the new 70s. 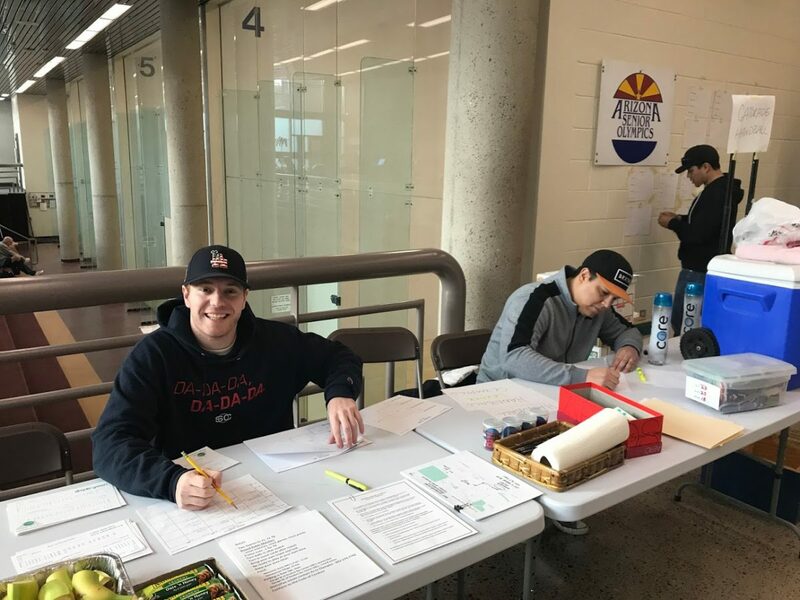 Special thanks for all our volunteers, Roger Wilcox, Matthew and Kristopher Ortega, Don Stewart, and Nancy Jackson, the AZ SR Olympics games chairman for her help with registration. Also, thank you to Art Brooks for bringing the wonderful bagels and cream cheese for Sunday’s breakfast. Great fun at the Graduate Hotel for spirits and snacks afterwards, and of course a big thanks to all the wives/family members who came by to support the handball event. Let’s keep this tournament going! !